Fran Moyer was a World War II veteran, serving as an airfield mechanic in the United States Women’s Army Corps (WAC). 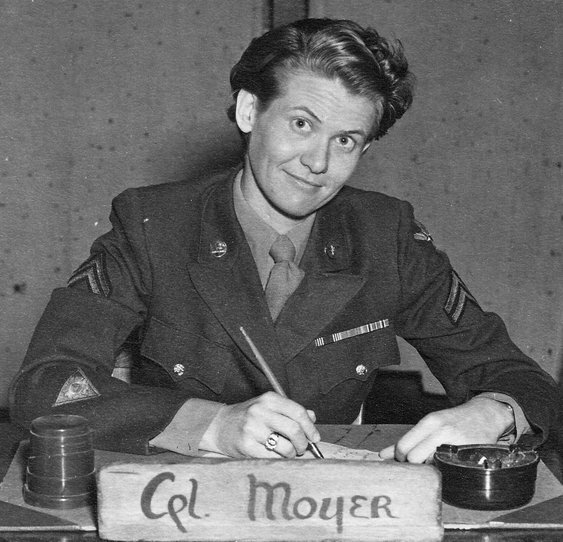 After her tour of duty, Moyer completed her education on the G.I. Bill, and in 1952 earned a Master of Fine Arts in Sculpture from the California College of Arts and Crafts, Oakland (now California College of the Arts), where she later taught. In the early 1950s, Moyer focused on liturgical sculpture, working in stone, concrete, hand-carved wood, and in welded steel. 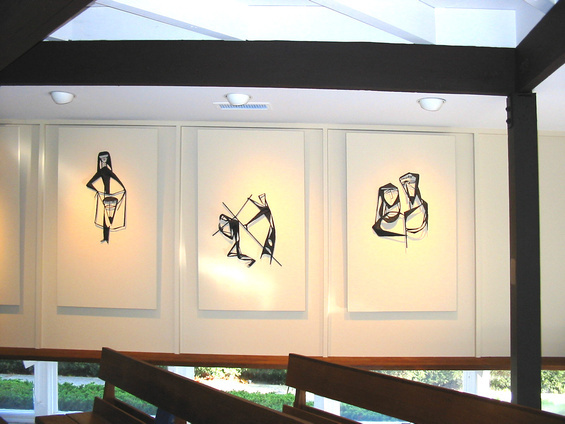 Her award-winning fourteen Stations of the Cross, installed at Saint Anselm’s Episcopal Church in Lafayette, California, come from this upwelling of creativity. Fran Moyer’s welded steel Stations of the Cross. Photo courtesy of Saint Anselm’s Episcopal Church, Lafayette, California. Throughout the 1950s, Moyer’s rigorous and innovative sculpture won awards and critical acclaim, and was exhibited in galleries and museums nationwide, including group shows at the deYoung Museum, San Francisco and the Metropolitan Museum of Art, New York and solo exhibitions at the Oakland Museum of Art (the Oakland Museum of California since of 1969). 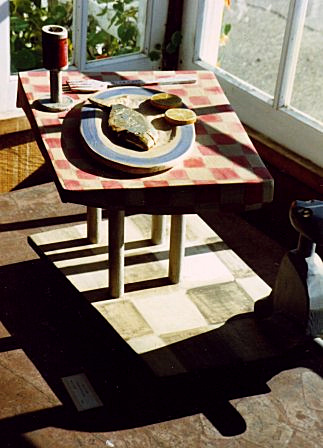 Temptation, polychrome wood sculpture by Fran Moyer, in the bay window of the newly opened Zacha’s Bay Window Gallery (1970). 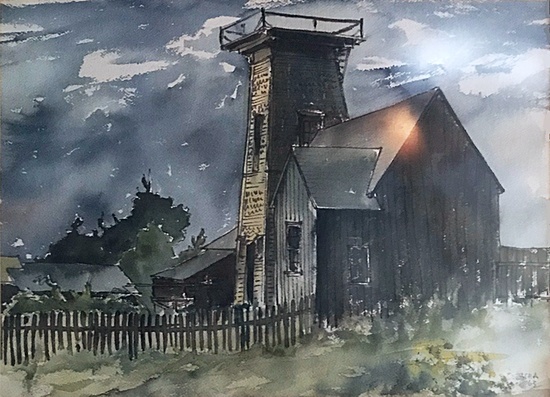 In the late 1950s, artist friends Harry and Jean Crotty introduced Moyer to the Mendocino Coast, and made her welcome at their place on Chapman’s Point, just south of the village. Soon Mendocino would become Fran Moyer’s home. 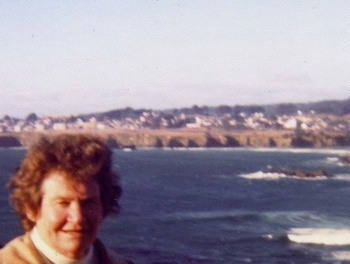 Fran Moyer on Chapman’s Point, across Mendocino Bay from the village (1964). 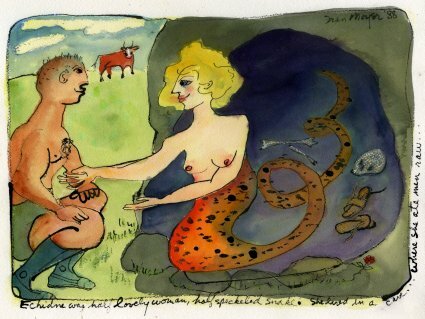 When Fran Moyer started teaching at the Mendocino Art Center, her sculpture began to exhibit the ironic yet puckish humor which characterized almost all her later work, including the small format watercolors for which she achieved a second generation of fame, the manic geese, distracted sirens and plump red cows of her Caspar Pond series, her cheerful illustrations of the bloody mayhem of Greek myths and her comic, closely observed cats. In the 1970s an alter-ego emerged, the irascible Honey Glumm, author and illustrator of Honey Glumm’s Tales for Kiddies. The Tales appeared serially in The Big River News, published by Deborah Hammermesh White. 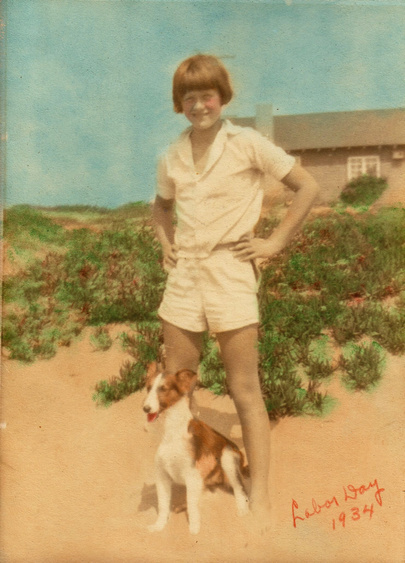 Later the Tales were published by Connie Korbel-Mickey, in a limited edition book. 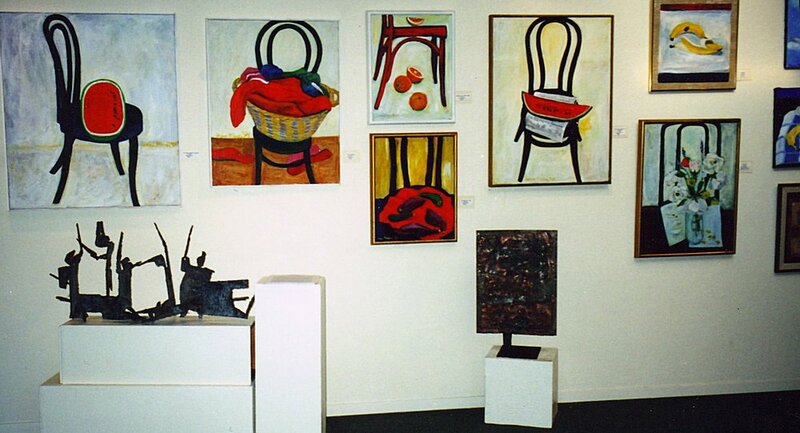 Korbel-Mickey also curated Fran Moyer’s 2002 retrospective at the Mendocino Art Center. Mendocino old-timers will remember Moyer’s handcarved lifesize Cigar Store Indian standing sentinal at the entrance to Zacha’s Bay Window Gallery from 1964 until the mid-1980s when the sculpture was kidnapped. 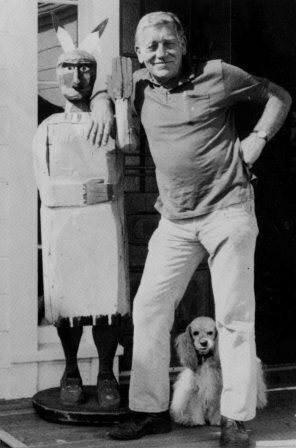 Bill Zacha and Pistoni with Fran Moyer’s Cigar Store Indian, on the deck of Zacha’s Bay Window Gallery in Mendocino (1964).